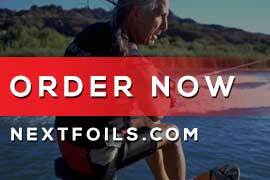 Mike Murphy has been hydrofoiling for more than 50 years, and has been at the forefront of foil design for several decades. 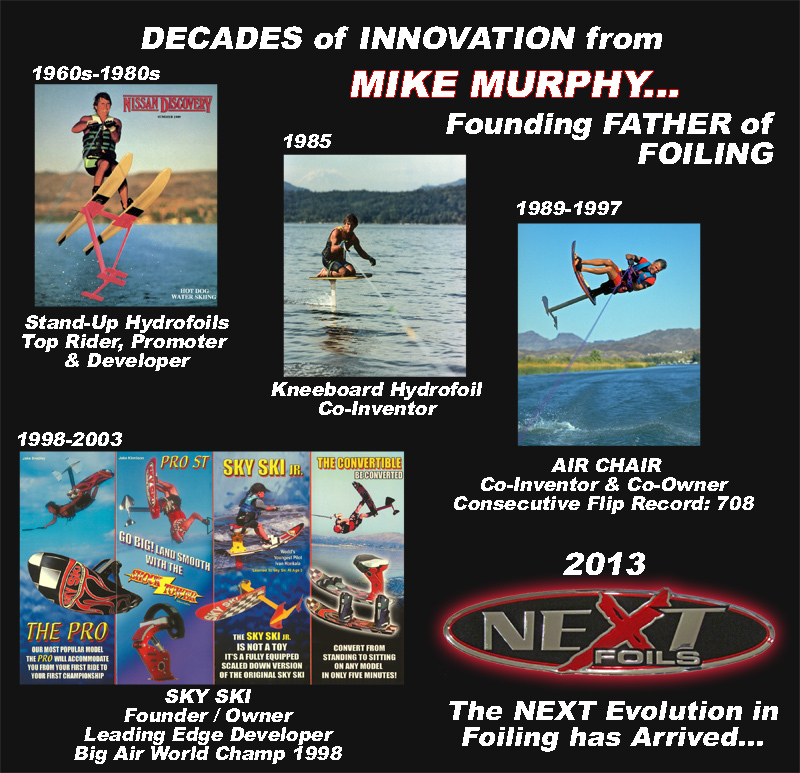 Mike was one of the original patent holders for the first sit down hydrofoil, the Air Chair. He later went on to found Sky Ski in 1998. Along the way he has been a driving force in new product development. He has set world records and been crowned a Big Air World Champion. Years of foiling success have lead to his best products ever…Next Foils. 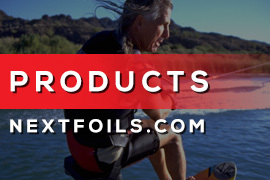 Mike has been riding and teaching foiling longer than anyone else. Here’s his series of videos taking you through learning to ride, step-by step.